Canadian Music Vibes: A Little Folk Rock, Alt Rock, Reggae, Traditional . . . I truly love all sorts of music and I thought I might share a few tunes that showcase the wide diversity of offerings by Canada’s talented musicians. Since it’s always hard to choose favorites and there are way too many other performances — oh my gosh, so many good ones! — that I appreciate from this country, I’ll just note that the songs below are among those that I like a great deal because they inspire me, move me or just make me smile. Oh, that bittersweet feeling of finishing a good book that not long before was a welcome and constant companion! 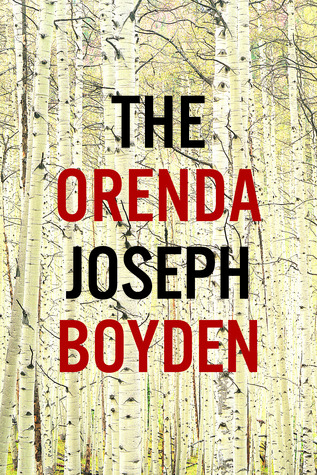 So it is with my having just finished Joseph Boyden’s The Orenda, a gripping epic set around the mid-1600s during the time of first contact between First Nations people and Europeans in what would become Canada. The Wendat, or Huron, people, who are one of the principal subjects of this book, believed that each of us and every thing is endowed with an “orenda” or life force, and, so it is, more broadly, with cultures. Not surprisingly, The Orenda was the top choice in the 2014 Canada Reads competition and good reviews abound for this riveting novel (for instance here on GoodReads). So, rather than pen another, below is a brief excerpt that encapsulates one of the deep philosophical themes underlying the drama that unfolds within its pages. Throughout my reading of Boyden’s poetic work my thoughts continually dwelled on how this snapshot of a not-too-distant earlier time aptly reflects the concepts found in Buddhism, Hinduism and some other spiritual traditions of samsara (the cycle of birth, death and re-creation), change and suffering, each of which are constants in our world and in the clash of civilizations throughout history. “Success is measured in different ways. The success of the hunt. The success of the harvest. For some, the success of harvesting souls. We watched all of this, fascinated and frightened. Yes, we saw all that happeed and, yes, we sometimes smiled, but more often we filled with fret. The world must change, though. This is no secret. Things cannot stay the same for long. With each baby girl born into her longhouse and her clan, with each old man’s death feast and burial in the ossuary, new worlds are built as old ones fall apart. And sometimes, this change we speak of happens right under our noses, in tiny increments, without our noticing. By then, though, oh, by then it’s simply too late. “Yes, the crows continued to caw as crows are prone to do, and after a while we got used to their voices even when they berated us for how we chose to live. Some of us allowed them their cackling because we found it entertaining, others because we believed our only choice was to learn how to caw ourselves. And still others kept them close for the worldly treasures their masters promised. 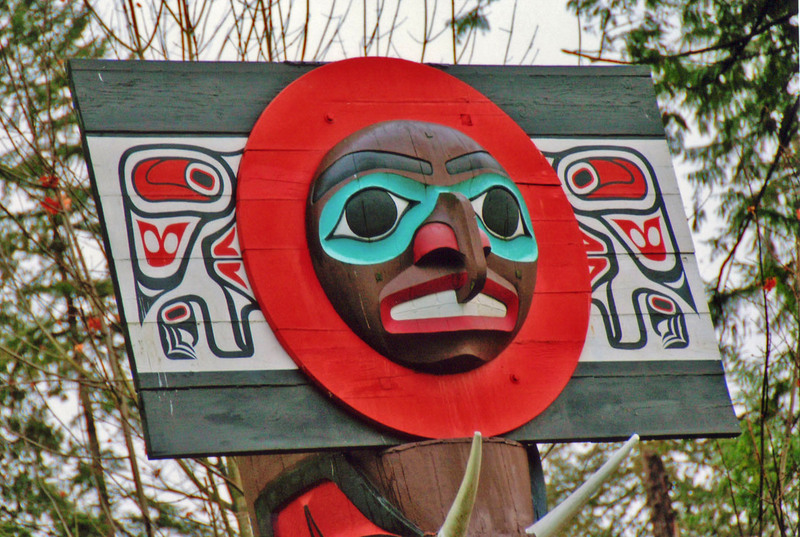 Stanley Park is a beautiful, peaceful greenspace on a sprawling peninsula in the heart of bustling Vancouver. 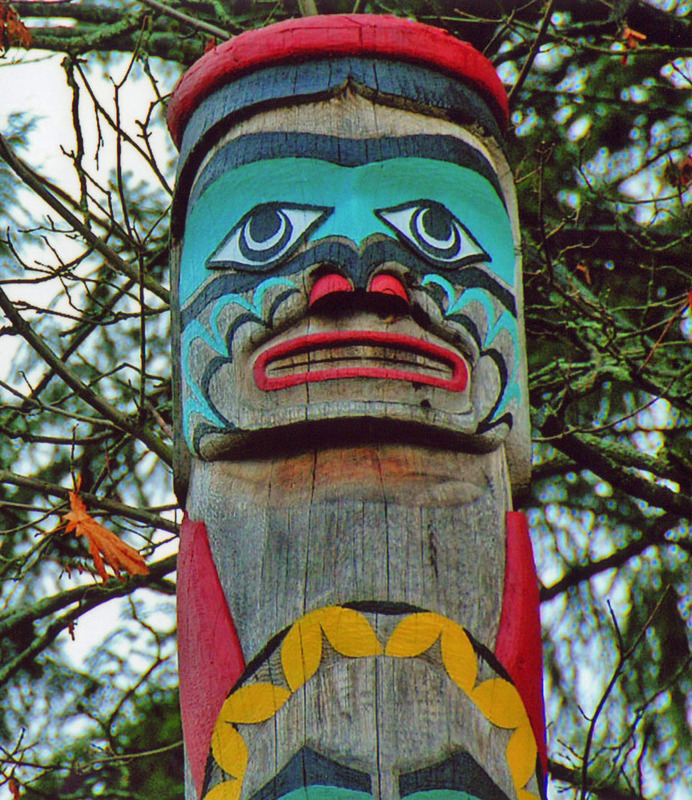 The Park’s collection of native American totem poles is eye-catching and conjures marvelment and reverence at the creativity of the people of the Pacific Northwest that made these exquisite carvings. In these photos from a trip there not long ago it was challenging to separate the poles from the surrounding trees so these don’t do justice to the majesty of these enduring artifacts.